Modern data center managers are increasingly relying on data to make more informed decisions. Having the right information to make faster data-driven decisions means that data center managers can reduce downtime, better utilize power and cooling resources, plan capacity more accurately, and improve Power Usage Effectiveness (PUE). However, data center management is also more complex than ever before. Today’s data center managers don’t have the time or formal training to do sophisticated data analyses. Moreover, with the massive volume and variety of data generated by equipment like CRACs, UPSs, intelligent rack PDUs, floor PDUs, RPPs, meters, branch circuits, racks, environment sensors and aggregators, IT devices, and electronic door locks, the usual methods of analyzing this data (i.e., spreadsheets) won’t work. Data visualization tools that can handle this amount of data frequently are expensive or require special training. That’s where Data Center Infrastructure Management (DCIM) software saves time and boosts productivity. 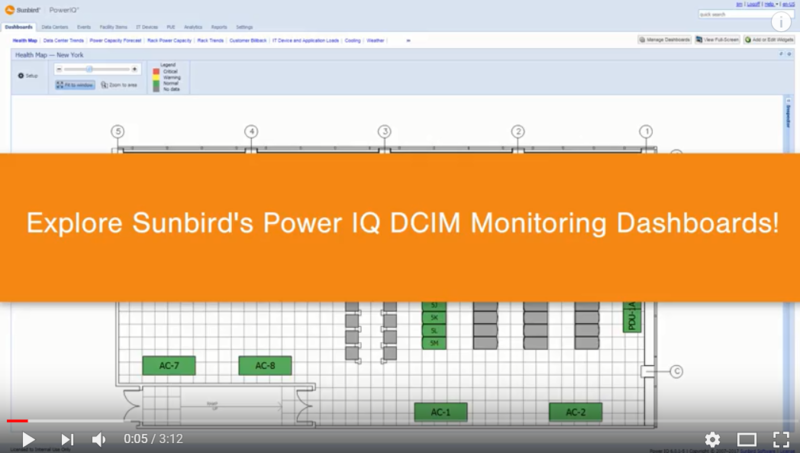 In addition to storing and collecting data from data center equipment via polling, second-generation DCIM software (DCIM G2) incorporate data center business intelligence and visual analytics to help data center managers view and analyze data through the same user interface used for data center power monitoring. Tailor reports to focus on only the relevant timeframe and data for faster analysis. Have as many dashboards as you want, leverage webservice feeds, and display your dashboards on a NOC screen to share with your team. Create your own dashboard in seconds with drag-and-drop ease. Try It! Now that you’ve seen for yourself how easy it is to create and configure Power IQ’s business intelligence dashboards, take a test drive to try them out for yourself.